Earlier this year an eating disorder awareness organization called Bulima.com created a unique and clever campaign to raise awareness about the impact of media on body image. They created a series of images re-imagining what female comic book characters would look like if they were drawn with realistic bodies. It was a fantastic way to utilize a medium that is so well-loved and turn it around for a positive and empowering message. And it turns out that campaign was not a one off! 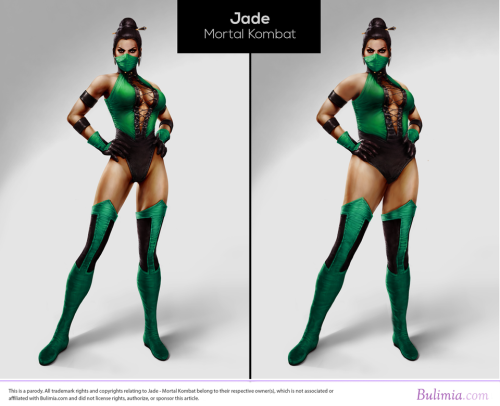 Bulima.com have now created another image series called ‘Reverse Photoshopping: Video Game Characters’ where they have re-drawn a handful of popular female characters from some of the world’s highest selling video games and given them a more realistic make over. An article on Bulimia.com talks about how realistic video games have become over time in terms of the technology used and the graphic. “Some gaming studios boast their hyper-realistic lighting techniques, touting natural cloud movements as the latest features of their games. And with that kind of attention to detail, it makes us wonder, why can’t they accurately portray the female body?” they ask. “For example, plus-sized women are a rarity in video games, and when one does show up, she’s typically unusual looking. 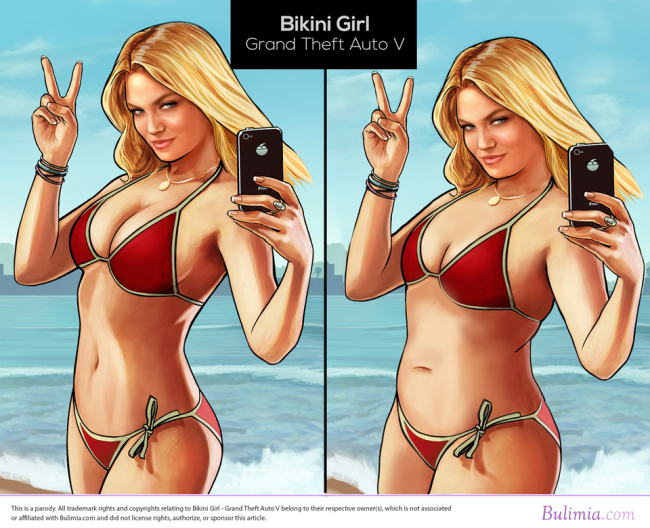 More often it seems video games are home to ultra-slim waistlines only. If video game creators are going to pride themselves on accurate digital representations, then it’s time for them to get real about women,” the article continues. The images they worked on were given alterations that now represent the average American woman’s measurements. Now we get to see what Lara Croft from Tomb Raider, the bikini girl in Grand Theft Auto, Jade and Sonya Blade from Mortal Kombat, and others would look like if they were real women. Bravo! But bulimia.com aren’t the only ones who think female characters need to have a drastic update to the way they are portrayed in media and entertainment. There are constant discussions about the Disney Princesses range and what kind of image and ideals they teach young women. 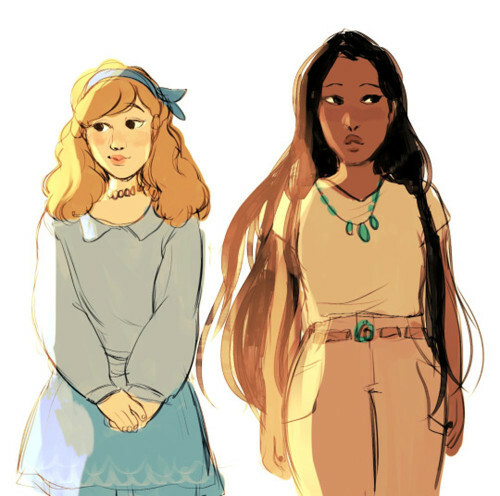 An artist by the name of Beverly Johnson who goes by Beverly Love on Instagram and Twitter created a series of Disney Princess images on her Tumblr where she drew some of the most beloved characters as normal teenage girls. 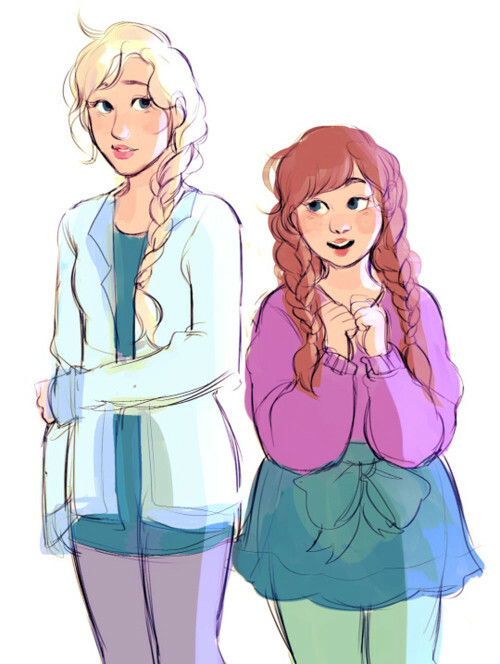 “I’ve seen a lot of Disney princess interpretations that were high-fashion and just wanted to draw my own casual version,” she told Bustle about her artwork. 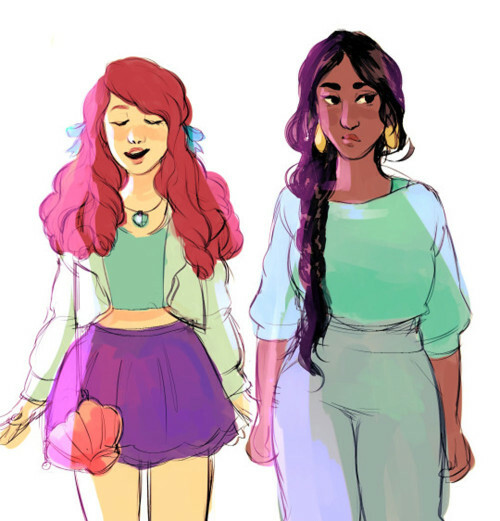 While her re-imagining doesn’t necessarily have an activist focus like Bulimia.com’s images, they are equally as important because Disney Princesses are so popular. If more young girls were sold an image of a princess who is also realistic and looks like an every day woman, perhaps there would be less of an epidemic of girls chasing some stunted Prince Charming fantasy and instead ponder an empowered future that includes some body positivity. It’s really awesome to see everyday people and organizations using their voice to influence the media. Remember, we as the consumers actually hold the REAL power here, not them. Without us, media and entertainment organizations have nothing. Until we are the ones to demand change and accurate representations, things will stay the same. We can’t wait to see what the next Bulimia.com Reverse Photoshop series will be! I’m all for women’s rights and representations but I do NOT want to see this kind of trend ever appear in videogames nor do I expect it to do so. Males are currently the dominant buyer of the types of games depicted in this article and while I’m sure some plus sized females exist in some types of these games, they definitely would not involve a protagonist. You need to remember that money talks in the industry. I’m sure in some mmorpgs and games like Fable 2 they actually do give you an option to make plus sized characters. Men aren’t the dominant buyer though. And i find that this would actually be a good marketing idea because people want to relate to the hero of the of the story and most people in America are overweight. Plus, playing a plus size character shouldn’t be bad or unliked because they’re video games. You have a choice if you want to buy the game or not. Who cares if a game you weren’t even gonna play had a fat women as the main protagonist?